This early '1990s Haines Hunter 560F is a fine example of how classic boats can retain their value. This early 1990s (estimated 1993) Haines Hunter 560F was built by OMC –Outboard Marine Corporation – the manufacturers of Johnson and Evinrude outboards. Early '90s Haines Hunter 560F packages typically sold new for around $45,000. 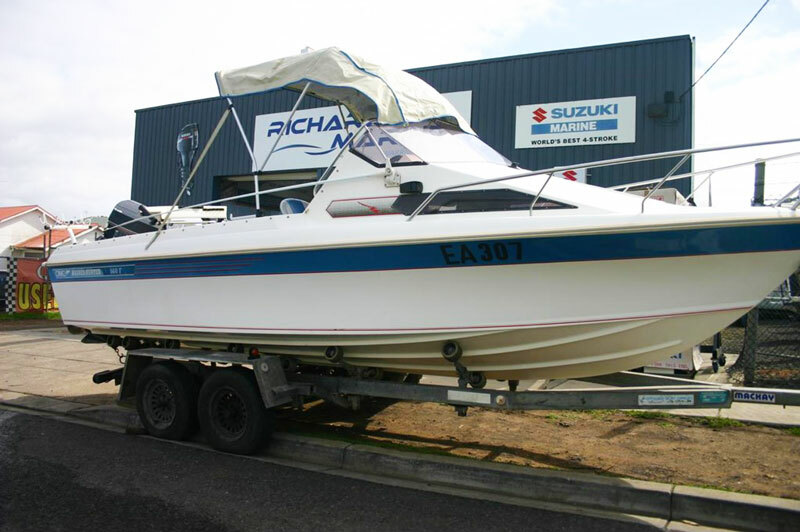 This Haines Hunter 560F package was originally sold and fitted by Gippsland Boat Supplies. This outlet is still a Haines Hunter dealer to this day and in fact has a similar boat currently for sale. The other two large Haines Hunter dealers in Victoria at the time were Gales Marine, and Boronia Marine, where I personally sold similar packages in the early 1990s, averaging at around $45,000. The featured boat has its original 140hp V4 two-stroke outboard motors. This engine was one of the last of its kind before oil injection was introduced. The Haines Hunter 560F package sits on a Mackay trailer, a solid unit that will give many years of performance. It is widely thought that the quality of the steel and galvanising on Mackay trailers like this one seems far superior than many modern presentations. The unit also has hydraulic over-ride brakes which do not require the fitting of a separate controller in the towing vehicle. The package includes the following marine electronics: a quality Furuno FCV-620 colour depth-sounder, hand-held GPS, GME 27MHz marine radio and stereo. Other items include compass, basic canopy, dual batteries, baitboard and detachable rod holders. 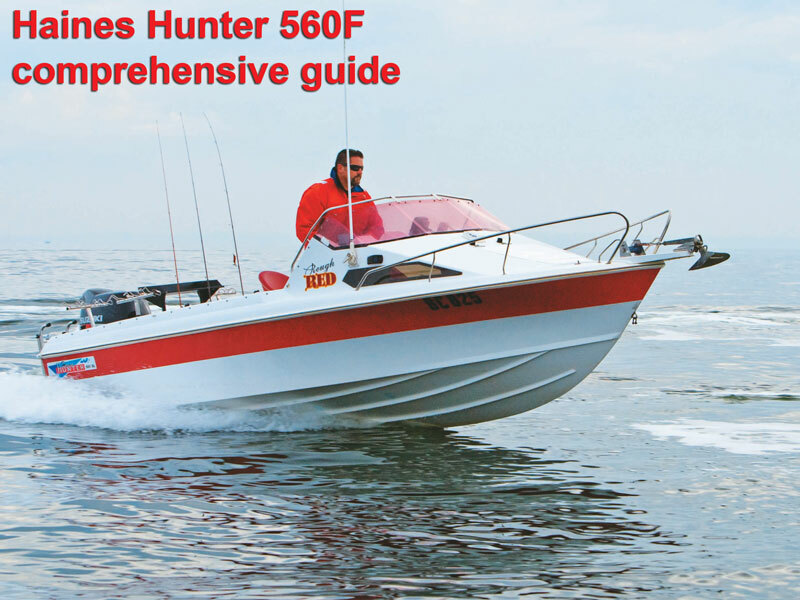 Check out Trade-a-Boat's definitive buyer's guide to used Haines Hunter 560F boats. The condition of the boat is quoted as being relatively good. The dealer describes it as a "highly sought after boat, well priced to either keep as is with the motor running well and just serviced, or re-fit and re-power." The description is quite right, and I agree that this is either a good package for a buyer on a budget, or is suitable for a buyer with a view to repowering with a newer, more fuel-efficient outboard motor. The older fitted 140 Evinrude outboard motor fitted is a wide 90° V4 so clearance should not be a problem. What a coincidence then that I first inspected this very same boat some 12 or 13 years ago when a good friend of mine purchased it secondhand (he sold it some years ago)! From memory he paid around $22-25,000 for it and while its condition has deteriorated a little with use its value remains quite stable — and probably always will. Find a Haines Hunter 560F for sale. Trailer 1993 Mackay Multilink tandem. Here are 10 of the most sought after used Haines Hunter boats on the market.